With workplace burnout on the rise, companies need to implement strategies focused on developing sustainable people management practices. The key? An uncompromising focus on the wellness of their employees. As technology advances and work-related tasks seem ever boosted by new tools of productivity, the work week has somewhat counter-intuitively grown longer, more intensive and increasingly stressful. In a comprehensive 2014 study by the Netherlands Organisation for Applied Scientific Research (TNO), it was found that in the Netherlands alone, over 60 per cent of the workforce reported a marked effect of burnout on their ability to function in the workplace. And it seems that number is on the rise across the globe. The numbers aren’t lying – over half your employees will likely experience a burnout. A quick search of the words ‘burnout’ will yield recent articles by Forbes and The Guardian outlining the ‘sinister epidemic’ of occupational stress. Forbes outlines a study by Kronos and the American Psychological Association which found that burnouts lead to a significantly increased rate of absences and lower productivity, with HR leaders pointing out burnout as the cause for over 50% of turnover (wowza), costing US businesses $3 billion dollars per year (!). The Guardian cites the Health and Safety Executive (HSE) in stating that over 500 000 workers in the UK suffered from work-related stress with 12.5 million working days lost in 2016/17. The notion of workplace burnout has somehow passed into public conscience as the natural consequence of employment. As insightful as these numbers are, the discussion tends to lean on the idea that if an employee can’t hack it – they’re the problem. And therein lies the inability by both employee and employer in changing the tide. TNO reported that around 3 million Dutch employees seek some form of preventative action from their employers, yet the burden of responsibility is placed upon the shoulders of the employee. Even in public discourse, content and articles surrounding the issue of occupational stress and burnout keep negating employer responsibility by shifting the discussion onto the employee. As helpful as a list of symptoms may be in re-enforcing the thins a stressed out employee is searching google for in the first place, we need to change the conversation. By placing the responsibility squarely on the shoulders of the employee, it is no wonder that a person already in distress will come to consider leaving their team and your company for what must seem like greener and healthier pastures. If the social cost of poor employee health doesn’t bother you, then the impact on your bottom line should. It comes as no surprise that high turnover rates are costly. As reported by Employee Benefit News (EBN), studies conducted by the HR consulting firm Work Institute (2017) places the replacement cost of the average employee at a rate of $15,000. Considering this number alongside the percentages of turnover rates and the rising number of burnouts reported – it seems companies cannot neglect the costs of glossing over the issue. The loss of an employee due to mental distress directly affects your company’s ability to get things done. Beyond the clear monetary loss, it is important to note the effect of even just one employee’s burnout in terms of morale and company culture. By failing to incorporate a company-wide strategy of existing support, companies will most likely experience the propagation of bad practice in ensuring employee wellness. It seems commonsensical that a person who is already in a state of distress will feel both stigmatised and incapable of reaching out in an environment geared towards professionalism and performance. However, within a company culture where an employee’s mental wellbeing is not being openly addressed by the company itself in the form of existing structural support, this seems even more probable. And so the cyclical issue will continue where employees go without incentives to reach out and burnout, and management spends time, energy and money in hiring new employees to replace them who might then be in danger of experiencing the same. Though workplace developments designed to increase comfort and happiness are on the rise, no amount of snazzy late night drinks, gyms, company outings or fancy sleep pods will fix an internalised disincentive to reach out to management when experiencing mental distress caused by the pressure of performing work. What makes this problem difficult to handle on the management side is indeed that it is a problem that most often than not needs to be solved in a human way (read: empathetic, relatable and intimate manner). Listen. Companies aren’t therapists and the workplace is not meant to be an unchallenging spa. That we get. But this is both the root of the problem as well as the necessary solution – companies and HR departments don’t have the time to ensure that their employees get the emotional and mental health guidance required in pressurised environments. If an employee is lucky, a company will have an on-site therapist, but that is simply not a service available to most people. Moreover, the way most workplaces are set-up, the time and/or is willingness to pay frequent visits to the in-house therapist during work hours seems… well, low. So how can companies implement effective measures in both preventing and providing solutions for occupational stress? Offer solutions that provide a sense of security, autonomy and dignity – both for you and your employee. Tech has ushered in an age of increased workplace productivity. This has bled over to the world of wellness. We live in an age where fitness and wellness can be outsourced to machines (think meditation apps, fitness apps, nutrition apps, even symptom checkers and automated mental health messaging apps). Yet, employee wellness is not quite as easily solvable as providing better facilities or free subscriptions to wellness apps as they currently are (though it does help) – mental wellbeing is, at its very core, a supremely intimate and personal issue. As much as we cling by the words of optimisation, productivity and output, sometimes, there are things that just cannot be optimised. In place of leading with tech, companies would do well to lead with a strategy that incorporates both tech and human to human connection. Thankfully, tech is offering innovative ways of providing the kind of care previously thought impossible to provide on a large scale. Mentorship and guidance as forms of prevention are therapeutical strategies that can be utilised in a corporate setting without necessarily spending much time in training or restructuring management and HR. The mixture of psychology and tech can be a powerful step towards providing the support your employee needs. In pilot tests conducted by a team of psychiatrists and tech entrepreneurs under the Phillips umbrella, the provision of problem solving therapy (PST) through app services that connect individuals with trained guides have shown significant results. Rooted in outcome focused PST, in as little as four sessions with a fellow human (sounds a little ridiculous, but we live in the age of robotics! ), the pilot found that people reported much lower rates of mental distress. The key? Building resilience by fostering long-lasting skills including stress prevention, outlining and acknowledging concerns and building behavioural mechanisms that can be transferred into every day life. A programme such as this would be based on effective and personal one-on-one sessions through anonymous online chat with a trained guide/mentor. By focusing on building skills with an external guide/mentor, this approach lends itself to a great deal of customisation and autonomy: bypassing the many stigmas related to burnouts in the workplace. Rather than being confronted with the notion of a loss of privacy at the workplace (by sharing aspects of their mental health struggle with managers that they would prefer to keep private), the individual is able to find support anonymously, anytime, anywhere. The threshold for getting help is thus very low. 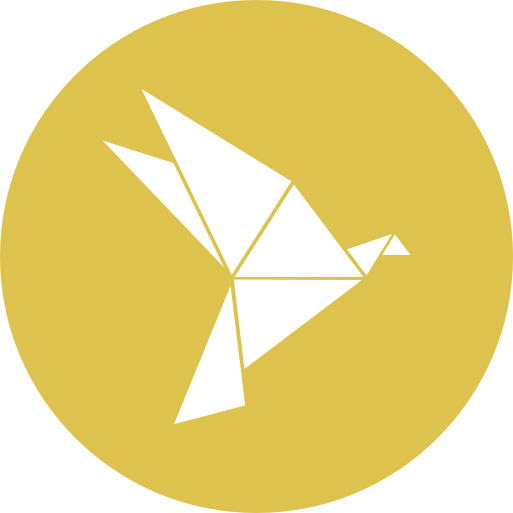 The PST method’s strengths are found in its outlining of clear action steps, and relies on a system that teaches its users to find and incorporate the problem solving skills that best fits the individual and their unique circumstances. The aim of such a programme is not to make the individual dependent on the service, but to impart vital knowledge of how to cope in stressful workplace situations, as created specifically for the unique situation. Such a service would be a unique venture into employee wellness as it provides not a generic blanket solution to a complex problem, but a tailor-made, human solution. By offering a framework in which employees are able to engage with their wellbeing in a preventive and autonomous manner, companies can begin to position themselves as active participants in solving the issues of how we deal with occupational stress. Such long term investment in employee wellness can be both effortless and affordable, as app software will clock in at a considerably lower rate than in-house therapists and the HR costs of high turnovers. The benefits of providing services that are built on sustainable management of stress will, at the very least foster an open dialogue into the ways companies handle workforce burnout, and at best, result in a more resilient, happy and productive workforce. 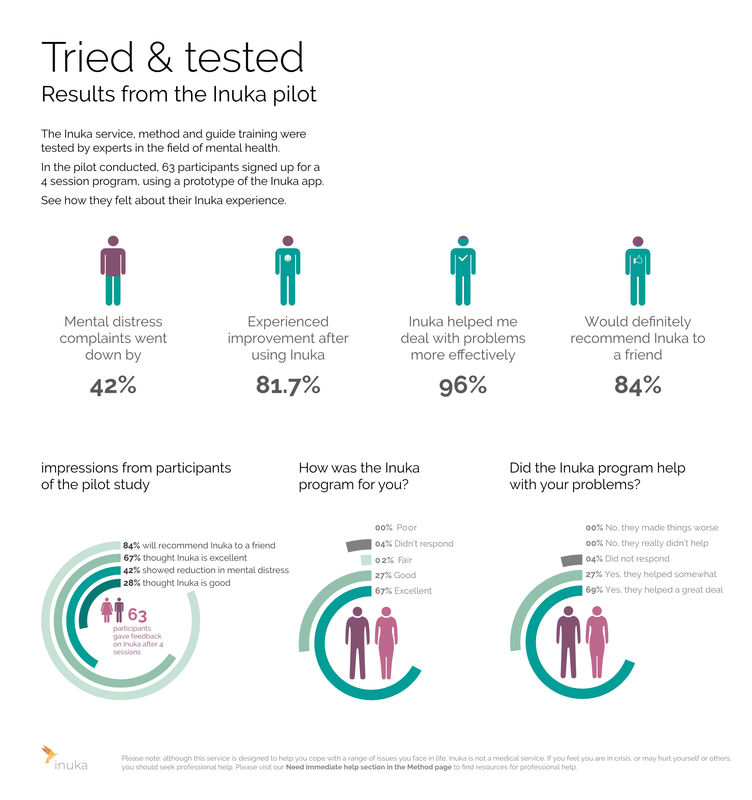 Inuka provides a tailor-made program based on problem solving skills based in cognitive behavioural therapy. Inuka utilises the ease of technology for long term benefits. With pilot testing, the Inuka programme has seen significant results. Written by Sarah Florander, visuals by Emma van de Ven.